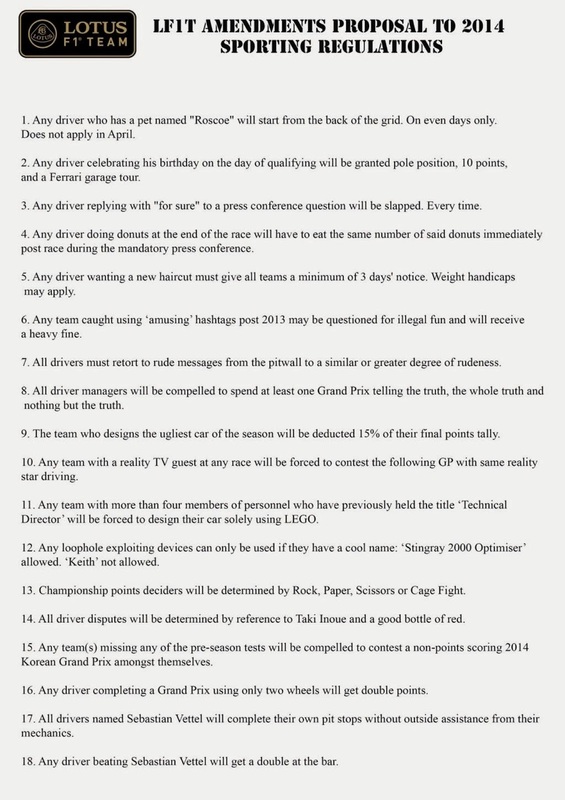 In response to the recent changes to F1 rules Lotus F1 has issued their own set of rules. Where the FIA will now award double points at the last race of the season Lotus F1 suggests that the team who produces the ugliest car of the season gets a 15% deduction in points and that any driver named Sebastian Vettel must now complete their own pit stops without any assistance from their mechanics. All sounds very reasonable. Take a look at Lotus F1's new rules below. They make more sense than double points for the final race.